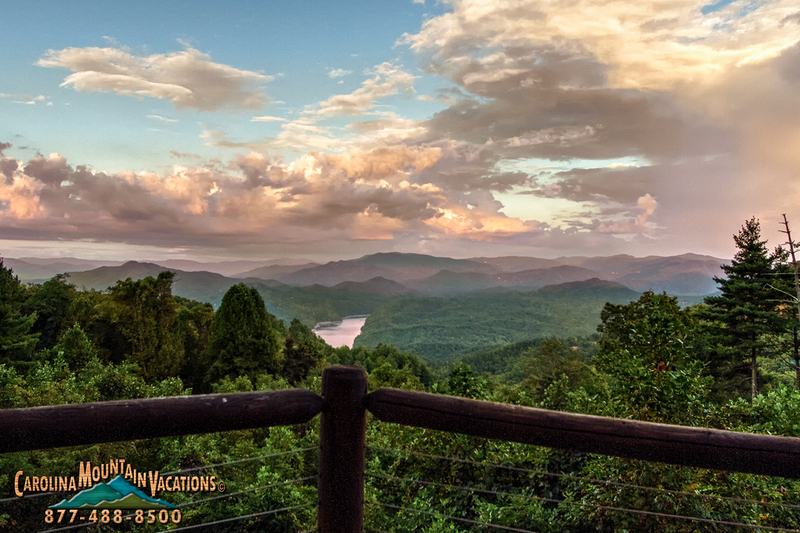 Time Flies is located off Highway 28, just a few minutes from the Almond boat dock on Fontana lake or the Tsali recreation center. 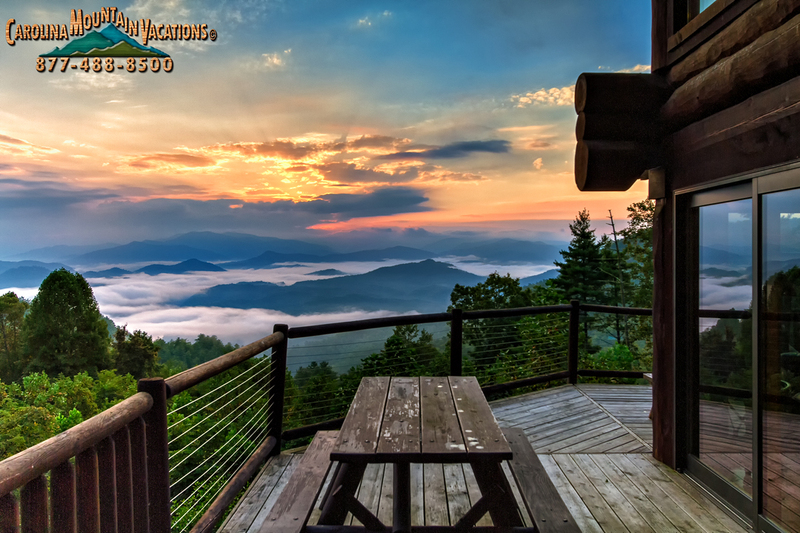 15 minutes from white water rafting on the Nantahala River, about 25 minutes from Bryson City and 35 minutes from Cherokee. 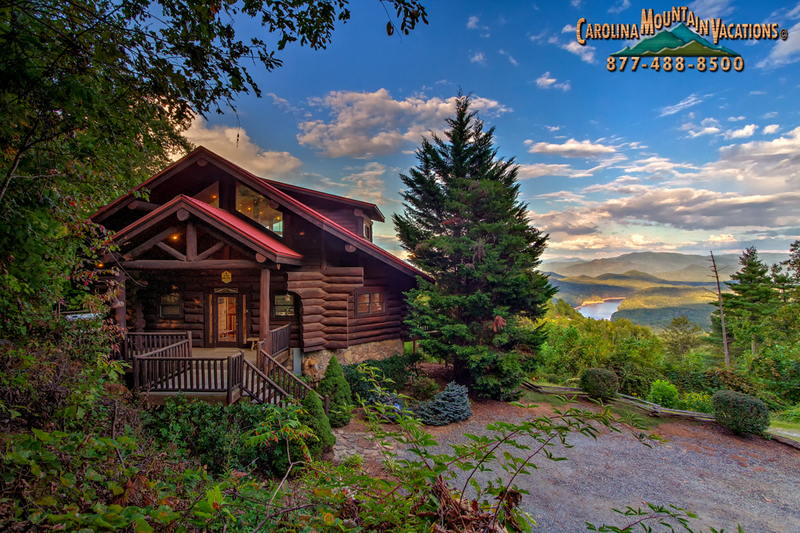 Majestic Pines is located in a private gated community with paved roads and easy access to the cabin. The short driveway from the road is gravel. Just off the main road you will see a welcoming gateway to your left that will take you up a short gravel driveway to your cabin, Time Flies! 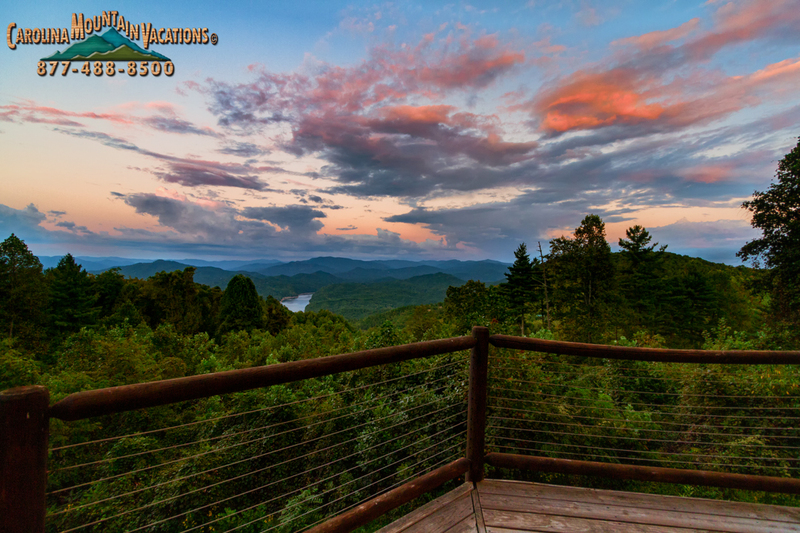 This cabin sits dreamily atop the mountainside overlooking Fontana Lake and the surrounding forestry. 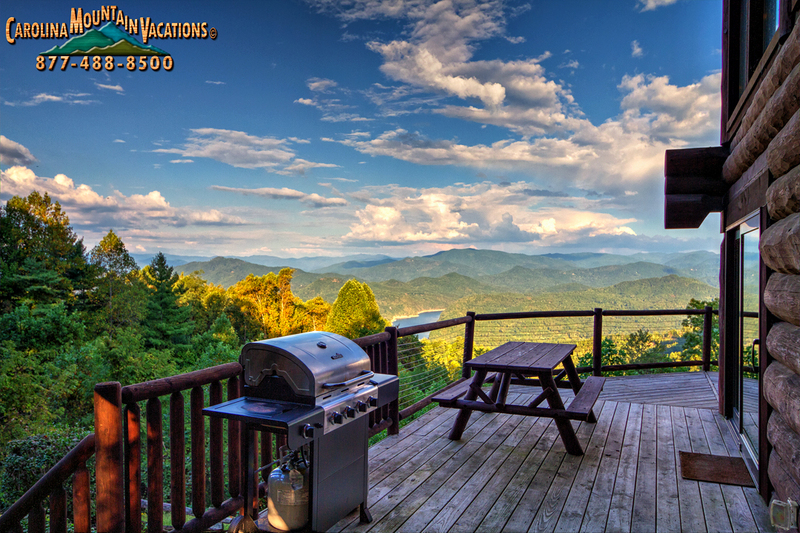 The views from the exterior will immediately captivate you and have you feeling like you are on top of the world! 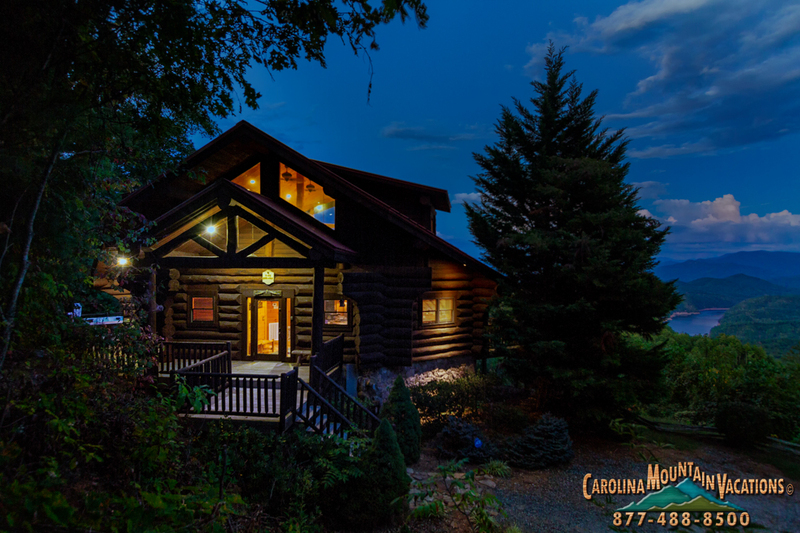 Looking at the cabin from the outside, you will quickly see why this cabin is an award winner of which no detail has been spared! 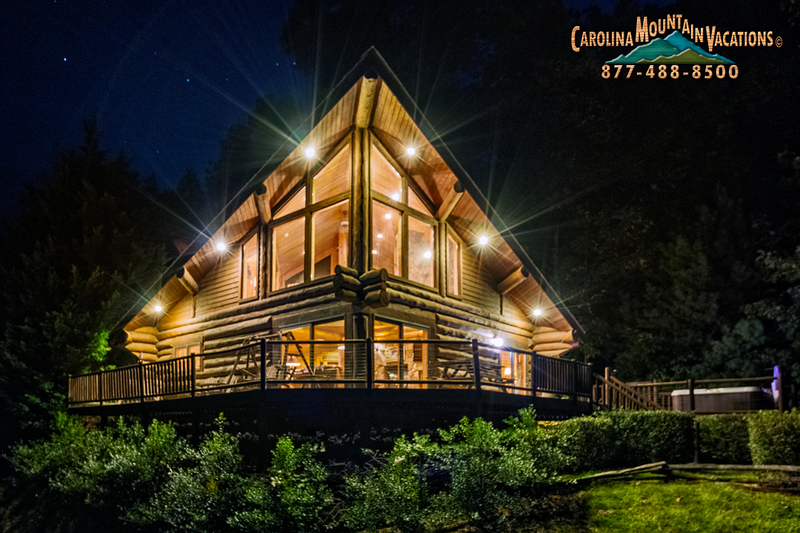 From the perfectly manicured landscape to the exemplary exterior logs that make up the cabin frame, Time Flies is spectacular! The parking area will perfectly place you in front a set of stairs that will take you to the entrance door to Time Flies. 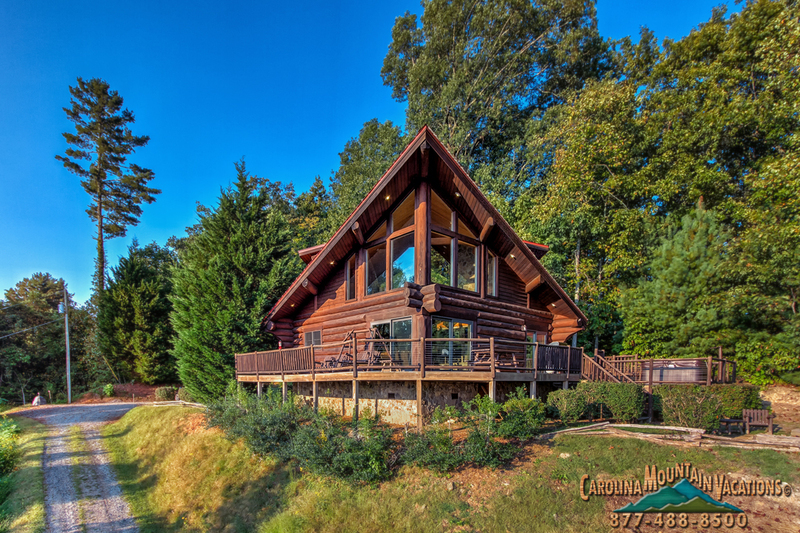 As you enter, you are warmly welcomed into the open floor plan of this cabin. 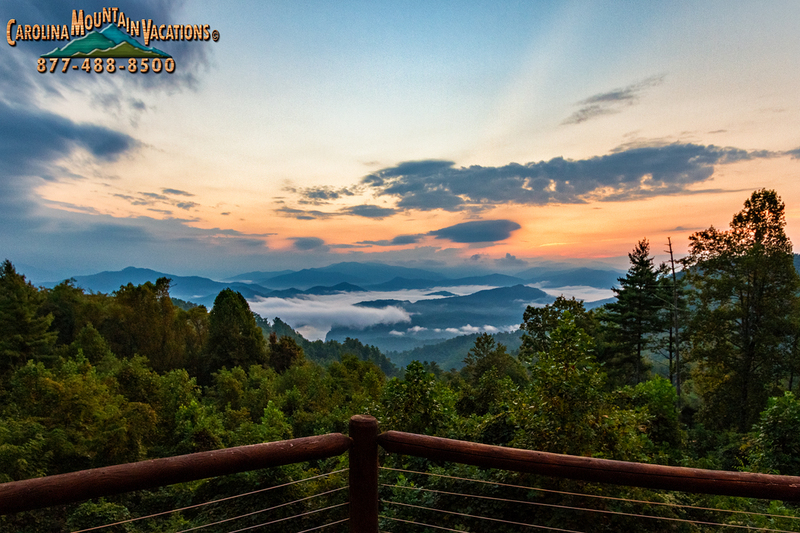 To your right you will find the kitchen, equipped with stainless steel appliances and spacious granite countertops. In the center of the kitchen, you will find a bar stool style table that seats 4. Adjoining the kitchen is the living room flooded with spectacular natural lighting from the vaulted ceilings and high rising windows. 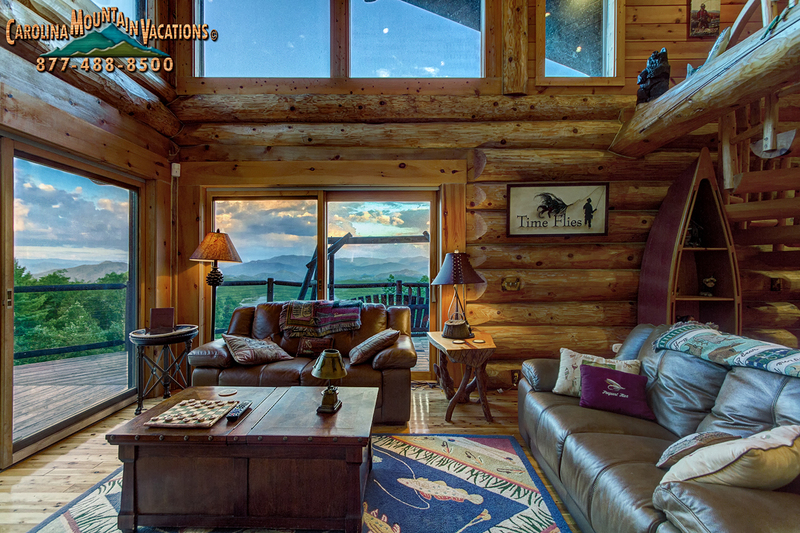 There are two leather couches for you to relax on while watching the flat screen tv, or enjoying the fireplace. Also in the master bedroom, you will see a set of sliding glass doors that will take you out onto the deck and give you access to the To the left of the front door will lead you into the master bedroom with a queen size bed, a flat screen tv, and a fireplace that adjoins the living room. 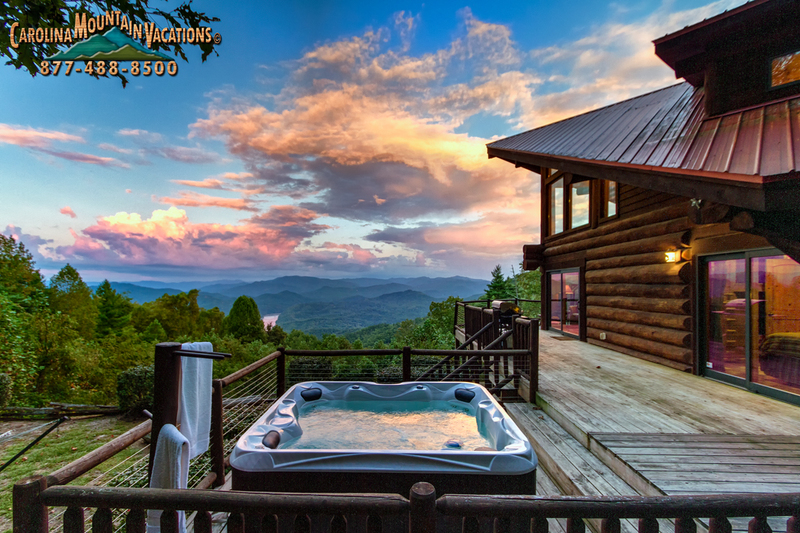 Directly across from the master bedroom you will find the lower level bathroom, equipped with his and her granite sink vanities and a standing shower encased with glass doors. 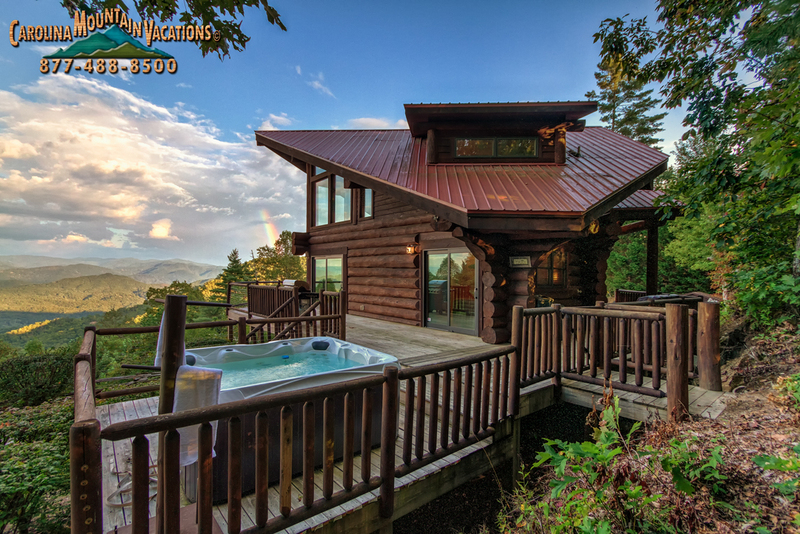 Directly across from the entry way door, you will see a spiral staircase that will lead you up to the loft area of the cabin. Upstairs you will find a set of bunk beds and an adjacent queen size bed for your sleeping pleasure. 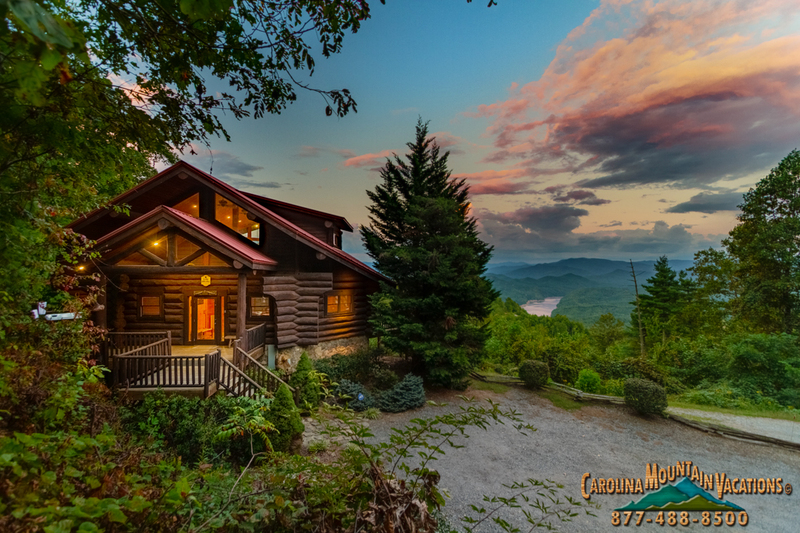 Kids will love the loft for the foosball game table, and adults will love the endless mountain and lake views you can see from this upper level of the cabin. 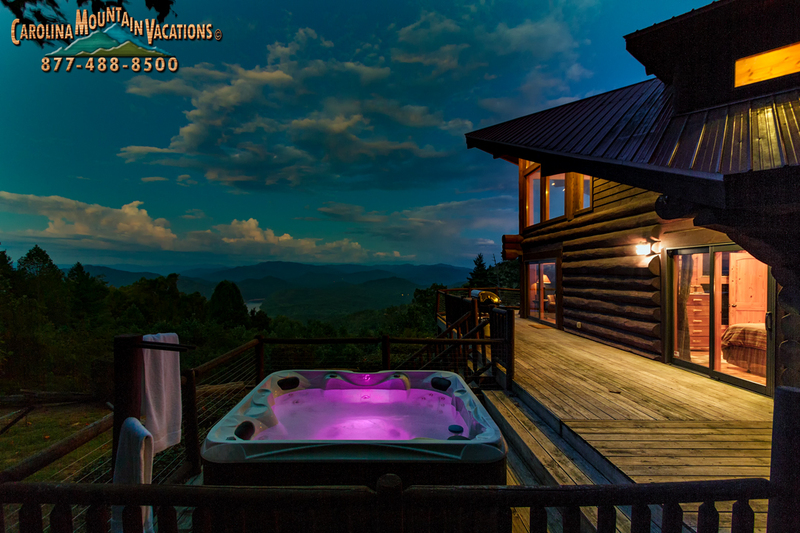 There is a second bathroom upstairs, equipped with granite counter tops and a spacious standing shower.